With legendary musicians coming from and through the city on a regular basis, Atlanta is certainly known for having a great music scene. The city is also a hotbed for some fantastic non-profits that are benefitting the music scene and the world in general. We’re proud to be home to the following non-profits below that are striving to make the world a better place through the magic of music. 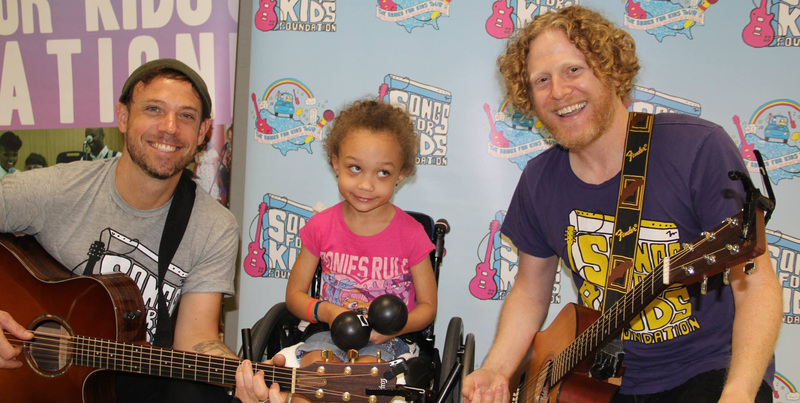 Songs For Kids was founded in 2007 with the mission to enrich the lives of children suffering from illness and hardship through the joys of live music. They put musicians together with children year-round both in and out of children’s hospitals and special needs camps to perform live interactive concerts and hospital bedside performances. They also enlist musicians to the Songs For Kids Records songwriting and recording program. Any person with a soul can understand the healing power that music can bring to our lives, and that is exactly what SFK aims to do for these kids. SFK has had performances by phenomenal artists such as Janelle Monae, FUN., Phoenix, Alex from Sleeper Agent, Belle & Sebastian, Passion Pit, Phox, Reptar, and more. To learn more about Songs For Kids Foundation and to get involved, visit their website. Their next event is a Food and Music Festival at Monday Night Brewing, this coming Sunday, March 29 at 1pm. Tickets to the festival include admission, free food and drink tastings, as well as a performance by Yacht Rock Revue. Tickets are $75, or $10 for kids 16 and under. Founded in 2010, the Atlanta Music Project works to provide intense music education for underserved youth right in their neighborhood. Originally inspired by Venezuela’s El Sistema, AMP believes the pursuit of musical excellence leads to the development of confidence, creativity, and ambition, thus sparking positive social change in the individuals and the communities they serve. The 2013-2014 school year marked the first time the Atlanta Music Project was able to offer orchestra and choir programs. All of the AMP programs are rigorous courses with classes taking place from three to five days per week, two hours each day. The best part? AMP believes that all children are musical, so they do not require any entrance auditions or for the students to have any musical experience. The only requirement is that the student be committed to attending all classes. They provide an instrument, classes, world-class teachers and numerous performance opportunities. There is a wide variety of the types of classes they offer, and they currently serve 115 students every week with their programming. For more information, to get involved or to donate an instrument, visit Altanta Music Project’s website. Georgia Music Partners, aka GMP, is focused on the growth and improvement of the music economy in Georgia. They operate in partnership with The Recording Academy® Atlanta Chapter as a not-for-profit that encourages the state’s musicians, educators and legislators to work together to further develope Georgia’s music industry through creativity and innovation. Through these partnerships, they seek to develop programs that enable the state to better market music business in Georgia, as well as attract investment dollars for the music technology companies headquartered here. Their work is extremely important to the state of Georgia’s music economy as it seeks to not only sustain the industry, but also to grow it. In a 2011 study conducted by B. William Riall, Ph.D, the estimated economic impact of the music industry in Georgia is $3.7 billion annually. The study also credits the industry with creating 19,955 jobs and generating more than $313 million in tax revenues for state and local governments. To learn more about GMP and get involved, visit their website. WonderRoot is an Atlanta-based arts and service organization with a mission to unite artists and community to inspire positive social change. They provide production facilities to Atlanta-based artists, including musicians and music producers, which empowers them to be proactive in engaging their communities through arts-based service work. They currently offer a Recording Studio Basics workshop which familiarizes students with WonderRoot’s studio space, software, equipment, and provides them with information to run their own session. Recording Studio Basics workshops are held every other Saturday from 3 – 5 pm. Once a member has attended a workshop, they can work in the recording studio alone. WonderRoot sticks to their mission by keeping these workshops strictly donation-based, meaning they only ask members to pay what they can afford. To learn more about WonderRoot and all the things they offer, visit their website.